Apple and Nike on Thursday revealed a new edition of the Apple Watch Series 2, the Apple Watch NikeLab, essentially a color variation on the Apple Watch Nike+. 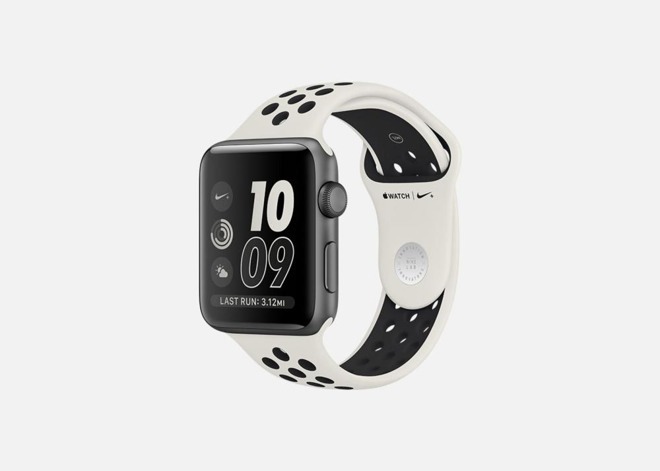 The model combines a space gray Series 2 with a "Light Bone/Black" band, perforated for comfort like Nike+ options. The watch itself also maintains standard Nike+ features, such as a preloaded Nike+ Run Club app. Notably the product won't be available at apple.com or at most Apple retail stores. When it launches on Apr. 27, people will instead have to buy it through nike.com, NikeLab doors, or a special Apple Watch pop-up store in Tokyo. The only other distinguishing characteristic of the NikeLab Watch is a logo stamped on the inside of the band. Pricing hasn't been announced, but models will presumably cost as much as the Nike+, which is $369 for a 38-millimeter model or $399 for 42 millimeters. 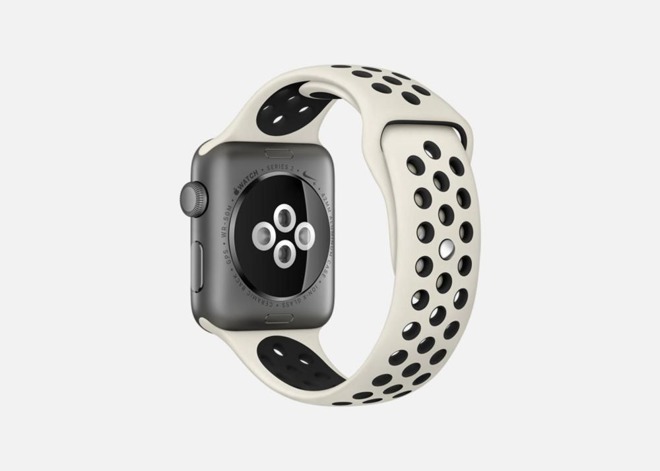 In March Apple began selling Nike bands separately, allowing regular Watch owners to try them. There's no indication yet that the NikeLab band will be sold the same way.